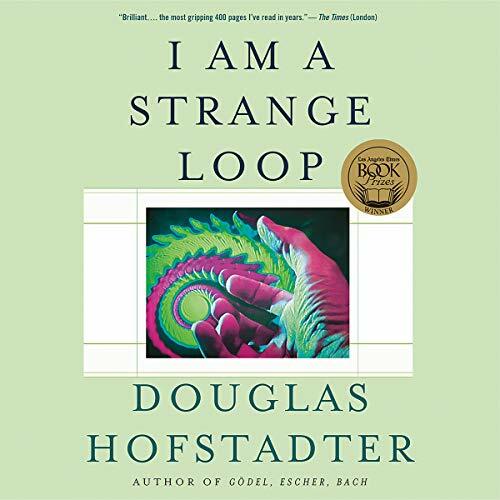 Most of I am a Strange Loop is recycled from Douglas Hofstadter's previous books, especially Goedel Escher Bach (or GEB, to its friends). But this is not necessarily a bad thing - this actually makes it a good first book for the uninitiated. And there is some new material, prompted by the untimely death of Hofstadter's beloved wife in 1993. It is this material, rather late in the book, that I found most poignant and fascinating. Hofstadter contends that his wife lives on in the form of imperfect, low resolution copies in the minds of those who knew her best. The same goes for all of us, living or dead, who have close ties with family and friends. It's a fascinating idea; worth the listen. Greg Baglia's reading is OK, but his affect is fairly flat. 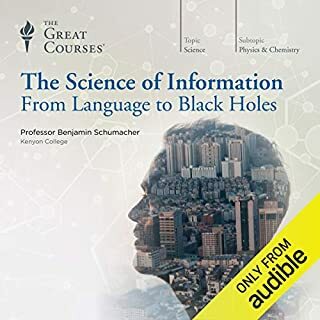 He does an excellent job differentiating the characters in Hofstadter's faux-Socratic dialogs, but elsewhere his performance is a bit dry, which makes the more academic passages a little tough to get through. Fortunately Hofstadter's writing, while quite dense and digressive, is also pretty lively, being aimed mostly at the intelligent layperson. Just a quibble, but Baglia's pronunciation of foreign names and languages is spotty, too. Sometimes it's near-perfect, but most of the time he has a jarring North American accent. Like I said, a quibble, really. It's definitely clear enough (or so I should think; my own native language is standard American English). In all I would recommend this, but only to people who either have not read Hofstadter before, or who don't mind a refresher of GEB (and perhaps passaged of his excellent Metamagical Themas, as well). I really enjoyed GEB but this book did not work for me. It was repetitive, a bit shallow, jumped around, and did not have the heart of GEB. I already agreed with Hofstadter's main point, that consciousness is a repeating and evolving self referencing pattern (what he calls a strange loop) thus his repeated arguments about this quickly became boring to me. I also didn't like referring to it as a STRANGE loop...using the word strange when trying to clarify something seems, well, strange. He did not not quite explain what is strange about it. His idea that his brain contains some of his dead wife's soul was not very convincing. His criticisms of others ideas seemed to use strawman arguments. I agree with Hofstadter that these other ideas are faulty, but I think Hofstadter's take-downs were not strong. The most enjoyable parts were his discussion of music. The PDF included is only useful to understand a joke near the beginning of the book along with with Escher drawings and similar images. The bibliography (not on audible but viewable elsewhere) was very interesting. I can't really recommend this book. 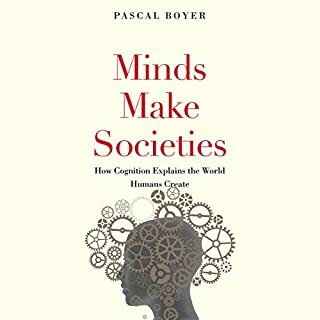 I do recommend several of the books referenced in this book including GEB and The Minds I (which were both great). The narration was clear and pleasant. Douglas Hofstadter is a distinguished academic, author and the son of a nobel prize winning particle physicist. In “I am a Strange Loop,” he has produced a strangely whimsical and unfocused collection of anecdotes, thought experiments, allegories, personal recollections and fictional stories in an effort to make sense of the concept of the self and the human soul. 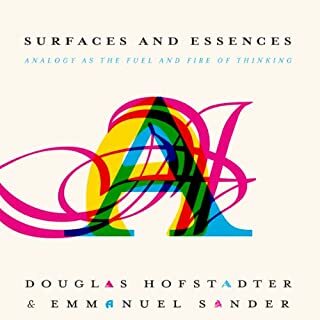 The book suffers from the weight of so many distracting digressions, personal asides and cutesy hypothetical dialogues that the thread of Hofstadter’s ideas is often lost in all the fluff and made up nonsense words. One wishes that Hofstadter would make his points more with consistency and rigor than with poetic anecdotes and discussions of his vegetarian dietary habits. To invent a Hofstadterian-like term, the book is “rigorless." Hofstadter’s thesis is that the self is a self-referential illusion that imagines its own existence. In effect, the self is a hallucination that hallucinates its own existence. 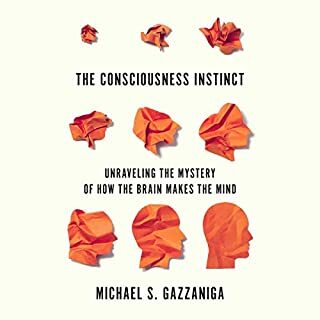 This strange solution to the often debated question of what the concepts of consciousness and the self are, what they mean and where they come from does little to advance our understanding of the philosophy of mind. To tell readers that we are just imagining ourselves is ultimately lacking in much information content and shows an author bogged down in the age old debate around discarded ideas about dualism and the mind body problem. There is, of course, a simple solution to these ephemeral philosophical debates, namely that as humans we are unitary integrated beings. We don’t have a separate entity inside ourselves like a soul, a self or a homunculus that directs the traffic inside our head. Rather our self is our whole integrated being and inseparable from the person that we are. But Hofstadter takes a more poetic path to his Daniel Dennett inspired philosophy of mind. Hofstadter has been a longtime friend of Dennett’s and adopts his crypto behaviorist stance that consciousness is essentially an illusion. To get there Hofstadter drags out science fiction stories, anecdotes, teleportation, the reversal of both color perception and concepts and the old bugaboo of philosophical zombies, none of which does very much to establish his thesis that the self is an epiphenomenal self-referencing and self-regarding loop that does not do anything. Hofstadter also adopts his friend Daniel Dennett’s determinist and crypto behaviorist position on "Free Will,” suggesting that while we may make some everyday life choices, underneath it all, everything we do and want is governed by the cause and effect of particle physics. This sterile determinist position fails to recognize that being able to do whatever we like is the very essence and meaning of free will. We may have parameters and constraints on what we want, which, as with every organism, arise from the nature of our being as human animals. But if we can do what we like that is exactly what free will means. Hofstadter, of course believes that free will is just another illusion like the selves that exercise it. In conclusion, one keeps trying to cut through the fluff that fills “I am a strange Loop” but one finds only more self-referential fluff underneath. 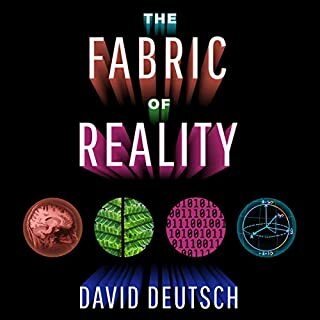 The essence of the book seems a bit like Hofstadter’s concept of the self, an illusion that keeps discussing itself, and not always to the reader’s benefit. At the end of the day, as people used to say about Los Angeles, there is not much there there. Highly rewarding ( even on second reading with 3 year interval) for motivated learner and thinkers. about a third of this book seems to be about principalia mathmatica which I found inpenetratable. however the last half of this book is solid insightful work which holds up next to anything Daniel dennet has written. 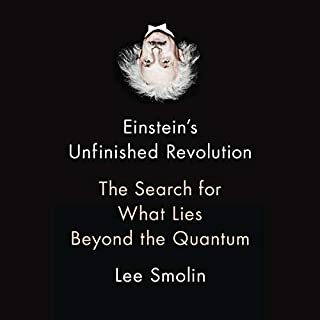 There is a fair bit of mathematics and logic which is hard to grasp when listened to, but the book is amusing in parts and I found the overall argument persuasive and insightful. The narrator is excellent.